They got me right in. I needed an oil change but didn’t have an appointment . An hour later I was on my way. I appreciate being able to walk in and get service. Service was very good and done in a timely manner. Everyone has always been so friendly and helpful. Eddy's Everything is a division of Brandon Steven Motors featuring new vehicles from Toyota, Chrysler, Dodge, Jeep, Ram, Chevrolet, Cadillac, Mazda and Volvo! Also offering customers in Kansas over 2000 used vehicles to choose from! 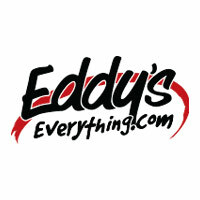 All Eddy’s dealerships are non-commission sales and open extended hours for your convenience. Don’t live in Kansas? Not a problem- We will deliver any new or used vehicle to anywhere in the United States!